The IDF has found the remains of two IAF pilots who were killed when a Sufa F-16I advanced airplane crashed in southern Israel. 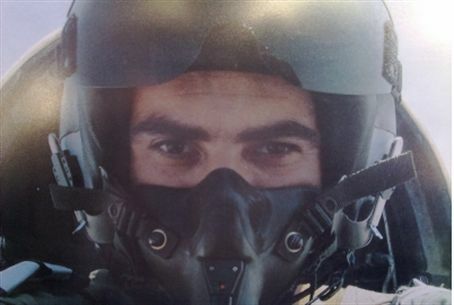 The IDF has located the remains of two IAF pilots who were killed in a plane crash during a routine training flight in the southern Negev region Wednesday evening. IAF pilot Major Amichai Itkis, 28, and his navigator, Major Emanuel Levi, 30, were found by soldiers who combed the cliffs and rolling hills around the area of Mitzpeh Ramon in southern Israel. The two-seater Sufa F-161 fighter plane, manufactured by Lockheed Martin, crashed at around 8:00 p.m. local time. Sources said it appears that the two IAF airmen did not succeed in ejecting from their aircraft prior to the crash. Search and rescue teams were called to the scene of the crash and began searching for the two missing pilots as well as for the remnants of the aircraft. The families of the two pilots were informed of the tragedy, and IAF Commander Major-General Iddo Nechushtan has arrived at the home of the Itkis family to pay his condolences and those of the Air Force . Maj. Gen. Nechushtan, has already appointed an inquiry commission by a colonel to examine the circumstances under which the crash took place, the cause of which is unknown. Sources said investigators are considering the possibility of a technical malfunction, and/or possible human error. Nechushtan has also ordered the suspension of all training flights which use the Sufa aircraft for the time being. Last September IAF pilots flying a F-161 were forced to make an emergency landing during a routine training flight after the engine failed. During the 2006 Second Lebanon War, an F-161 crashed during landing due to a technical malfunction as well. Last July, six IDF airmen were killed when a Yas'ur type helicopter crashed in Romania during joint drilling exercises between the IDF and the Romanian air force.